What is the difference between ducted and ductless range hoods on Range Hoods Inc? A common question when it comes to kitchen ventilation is: What’s the difference between a ducted range hood and a ductless range hood? The answer is simple; a ducted range hood ventilates air to the outside of the home, while a ductless range hood filters the air and re-circulates it. Ducted Range Hood:This range hood ventilates grease, smoke, odors and heat out of the kitchen and outside of the dwelling via ductwork. Ductwork goes through the wall or the ceiling. Ductless Range Hood: This venting mode does not use ductwork. The range hood uses a charcoal filter to filter the air, which is then re-circulated back into the kitchen. Without either type of range hood, indoor air pollution collects in the kitchen, especially during heavy duty cooking and frying of foods. Use a range hood whenever you are cooking in an enclosed kitchen; the range hood will keep the home a healthy space. This entry was posted in Cleaning the Kitchen, Cooking with Range Hoods, Home Improvement, Indoor Air Pollution, Kitchen Safety, Range Hoods and tagged ducted range hood, ductless range hood, kitchen, kitchen hood, range hood, range hoods inc, vented range hood, ventless range hood on March 24, 2015 by editor. 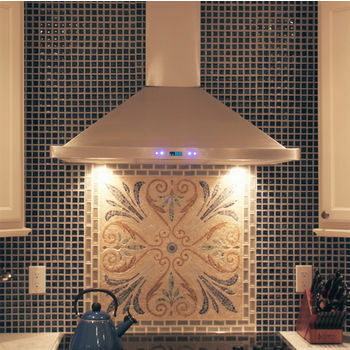 A kitchen range hood is essential for ventilating the air in the kitchen during cooking. But how do you pick a kitchen range hood? There are so many specifications and facts at play while shopping for a range hood, including size, mounting type, speeds, lighting, filters, chimney, venting mode and CFM. So you can choose the right range hood for your kitchen and your situation, this blog covers the basics about CFM. For more information, please visit our previous post here: What CFM Do I Need in My Range Hood? What is Range Hood CFM? BTUS: You can use the BTUs in your cooking range to determine how much CFM you need in your kitchen range hood. BTU stands for British Thermal Units and measures the energy the range gives off. For every 100 BTUs, you need 1 CFM. For example, if your range has 60,000 BTUs, you need a range hood with at least 600 CFM. Range Width: You can use the measurement of your cooking range to determine CFM. With wall mount range hoods, you need 100 CFM for every 12 inches of range width. 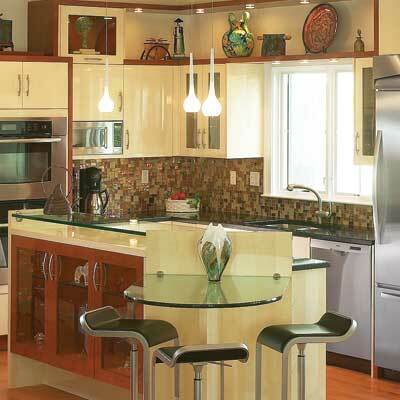 With island range hoods, you need 150 CFM for every 12 inches of range width. Kitchen Volume: Calculate the volume of your kitchen by multiplying the square feet of the kitchen floor by the ceiling height in your kitchen. Divide this number by four and you get how much CFM you need. Try these different methods to calculate CFM. If you get different numbers with each method, always go with the highest number for your CFM. If you need a high CFM, remember that professional style range hoods usually come with a higher CFM rating. -How much do you cook? Do you not cook very often, or do you do a lot of heavy duty cooking and fry a lot of foods? If so, then you will need more CFM. The minimum recommendation for those who do a lot of cooking is at least 350 CFM. -If noise level is an issue for you, you can purchase a range hood with a higher CFM rating and run it at the lower speed levels. It will have more power at the lower speed levels and make less noise. -You may need more CFM if the ductwork connected to your range hood is long and takes a lot of turns. -You may decide to mount your range hood at a height higher than what is recommended by the manufacturer. If so, you will need more CFM to make up for the extra distance from the cooking surface. We hope this blog post has helped clear up some of the confusion about CFM. If you still have questions, feel free to call Range Hoods Inc at 1-800-914-9775. One of our staff members can answer your questions and help you choose the right kitchen range hood. This entry was posted in Cooking with Range Hoods, Home Improvement, Island Range Hoods, Kitchen Tips, Professional Range Hoods, Range Hoods, Wall Mount Range Hoods and tagged CFM, kitchen hood, range hood, range hood cfm, range hoods inc, what is a range hood cfm on March 3, 2015 by editor.